WeChat (Chinese name: Weixin 微信) is with more than 1 billion monthly active users one of the popular messaging app in China. Developed in 2011 by Tencent, WeChat is now known as the “App for everything” with its many functions and platforms. 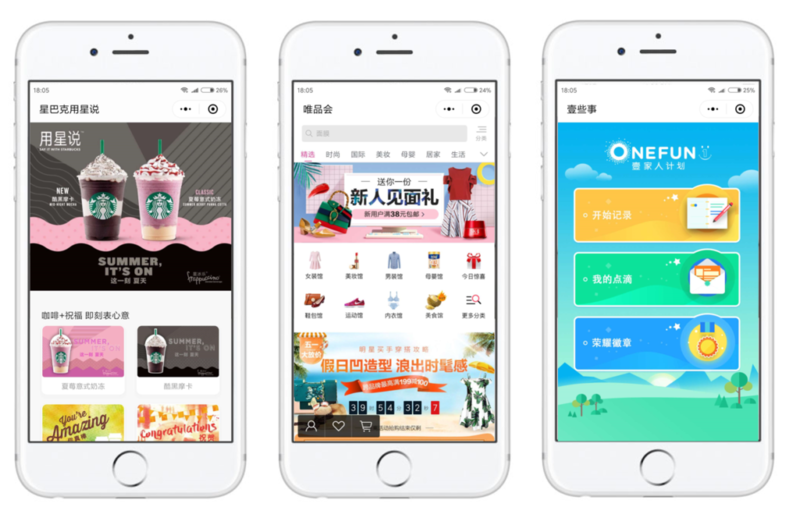 Brands have the ability to register an official WeChat account, which enables them to push feeds to subscribers, interact with subscribers and provide them with services. There are two kinds of official accounts: subscription accounts and service accounts. Subscription accounts are often used like a daily news feed, as they can push 1 new update per day. This can either be a single article, or multiple articles bundled together into one larger news update. As most people follow a great number of subscription accounts, all subscription accounts are saved in one Subscription Accounts Folder on users’ timelines. 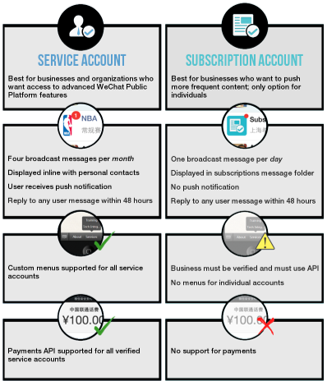 Service accounts have access to more functions available through the WeChat platform – such as payments and WeChat coupons – making service accounts more suitable for business purposes. Besides these advanced options, service accounts appear on users’ timelines alongside regular chats, enhancing visibility and availability. 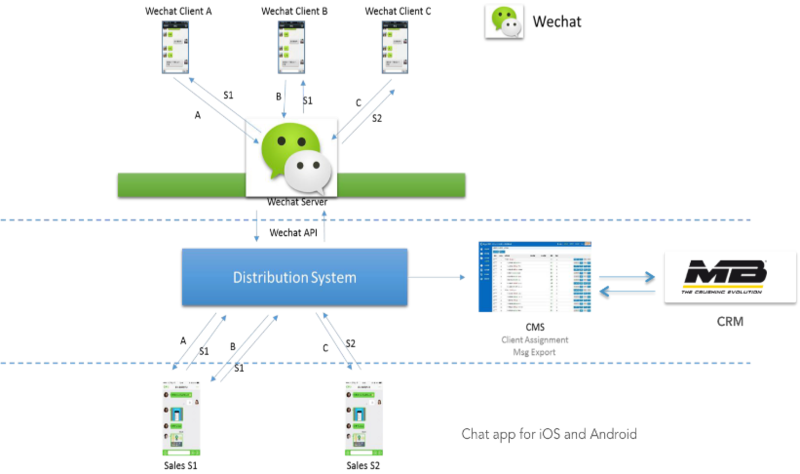 However, because of this, WeChat only allows service accounts to push 4 updates per month. WeChat Mini-Programs (MPs) are light programs that do not require anything to be downloaded or installed. Users only need to scan an QR code or search for a particular MP to launch and use the application anytime and anywhere. MPs are simpler and more efficient for users as well as more cost-efficient for the brands developing them (20% of the development cost of mobile apps). 020 connections can be made very easily, special QR codes create a buzz leading to more active usage, and the MPs’ “nearby” feature lets users find relevant MPs around them, making it possible for brands with local stores to use this feature to serve in-store customers. A WeChat shop offers companies with an official account the ability to sell goods and services directly inside the WeChat ecosystem. It enables customers to make payments with their WeChat wallet and both sellers and buyers can make promotions in their WeChat shop application. 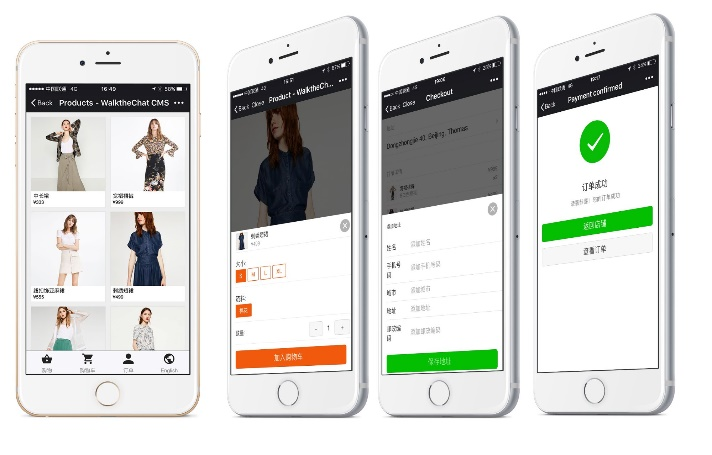 The usage of WeChat shops has increased in popularity over the past years, but it is now being overshadowed by Mini Programs. With the help of Customer Service software brands can set up, manage, and monitor customer service behind the scenes. In Customer Service tools chats are distributed automatically and directed to one or more customer service representatives. Moreover, most platforms allow users to send a feedback form or customer research form inside WeChat, making it possible to get to the heart of their customers’ problems and experiences. As China is the place to focus on networking marketing, brand awareness will be a natural progression.